Full house of Rehau UPVC Anthracite Grey windows, a modern contemporary Design, with top and side openings. Complete with a Red Composite door, with the Altmore Design and Zinc Prairie Glass Panels, with Matching Half Anthracite UPVC Panel, half Glass Sides, and Divided top Lights. 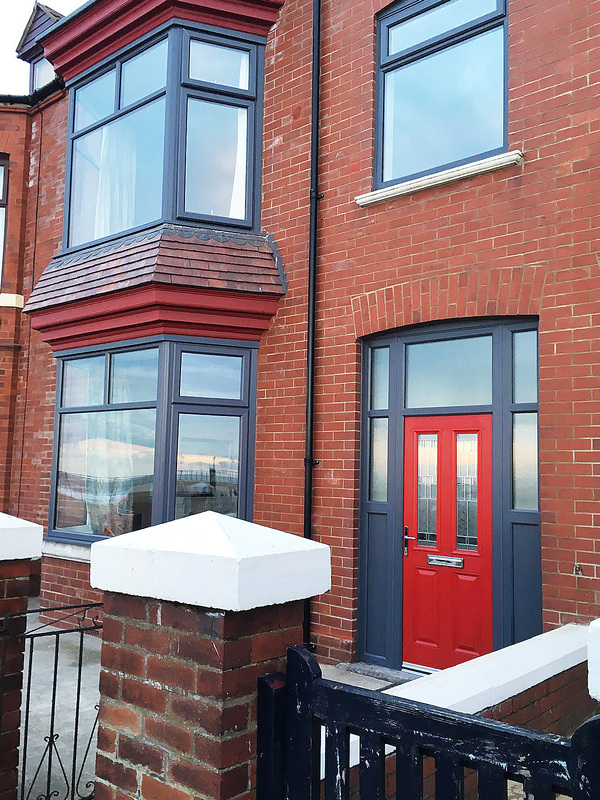 Full house of Anthracite Grey Windows With Red Composite Door, complete with Chrome Fixtures and Fittings. 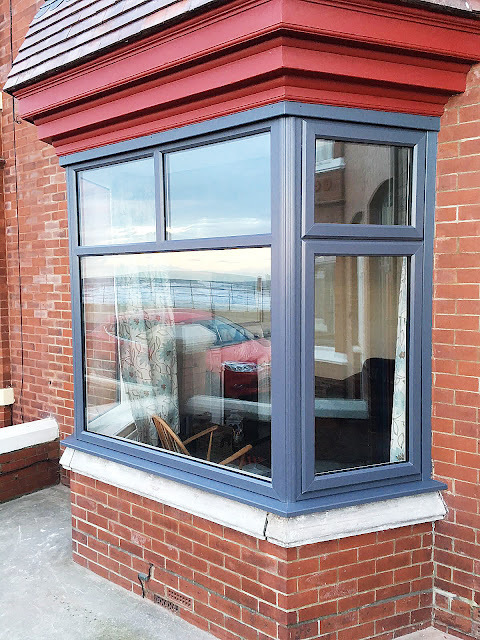 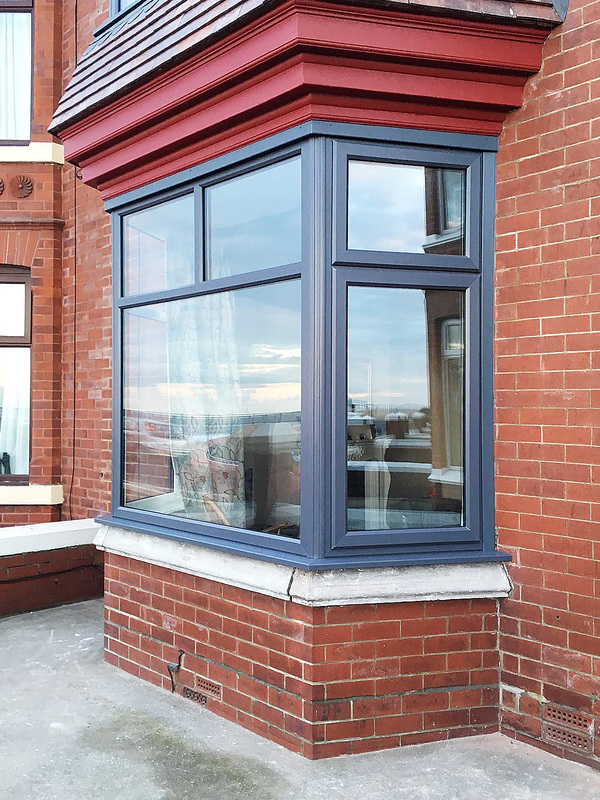 Anthracite Grey bay Window, with Top and side openings. 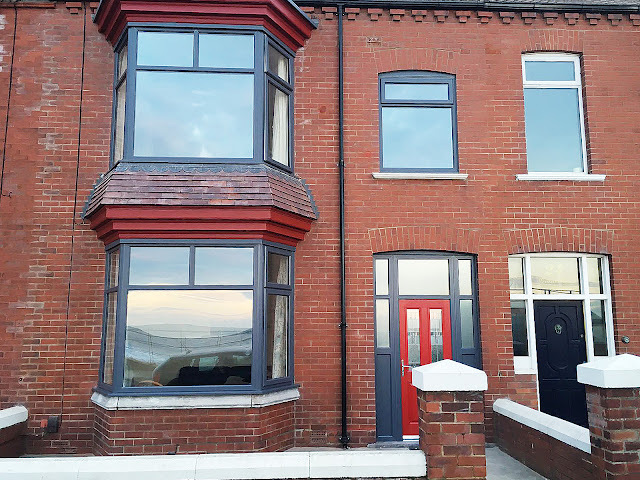 Front View, of Anthracite Grey windows, with Red composite doors.